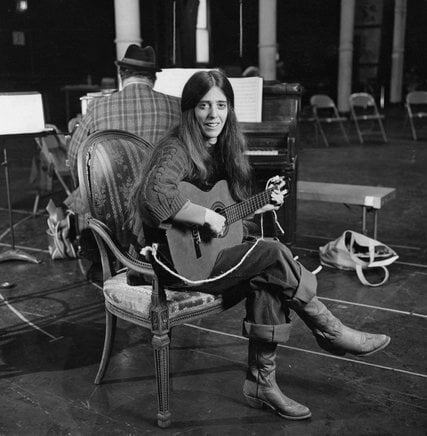 Composer, writer, director, and long-time friend of Dubway, Liz Swados, passed away on Tuesday. Liz was a vibrant presence on the New York music scene, known for creating incredibly smart, unique, and socially conscious musicals. In 1978, her breakout hit "Runaways," a musical revue about runaway teenagers, made the move from the Public Theater's Cabaret to Broadway and earned four Tony nominations. Liz created and directed a countless number of progressive stage productions for the next several decades. Critics used vocabulary like "song cycles, mosaics, tapestries, and oratorios" to describe her work. In the 1980s she collaborated with cartoonist Garry Trudeau to create two social satires for the theater, "Doonesbury" and "Rap Master Ronnie." She also wrote three novels, seven books for children, and two memoirs, one of which was translated into the animated film, "My Depression (The Up and Down and Up of It)," which was broadcast on HBO in July. Liz recorded a lot at Dubway over the years, and we will continue to be inspired by her creative nature. She was kind, genuine, and brilliant. Read more about Liz's life and work in this article published in The New York Times.